On Christmas day 2014, Elena and I landed in Manila. We were planning on travelling across the Philippines for 10 days, covering the capital, the rice terraces in north Luzon, and the water wonders of Palawan. Since our plane had arrived at 4am and we were planning on taking a 9pm bus to Banaue, we were left with ample time to tramp around the city. 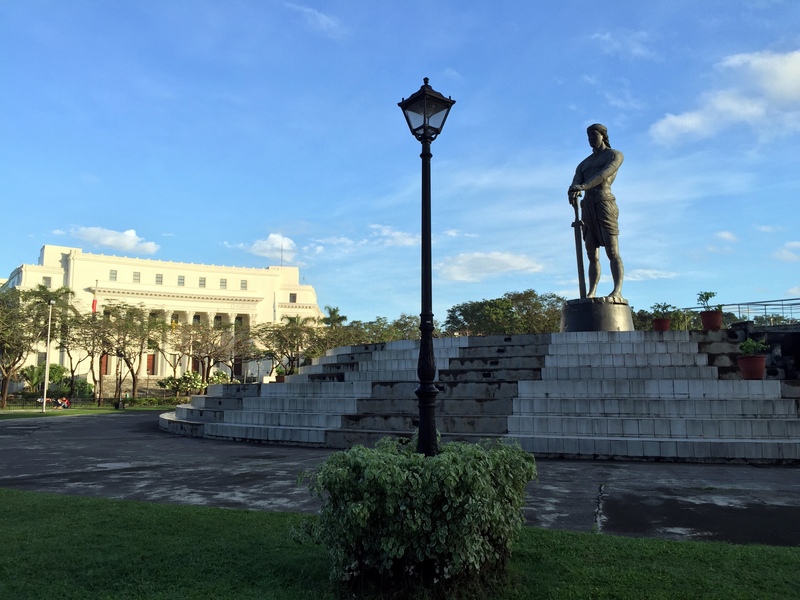 I have to admit I was positively surprised, as I hadn’t heard the best things about Manila, and I found a neat, interesting town with friendly people. Yes, there is poverty, but somehow it feels more organic, integrated than in other places. And the mix of Asian, Spanish/Latin and Northamerican heritage creates a unique character. We took a taxi to Malate and found a hotel that would keep our backpacks. Then walked on Mabini street to reach Rizal park, which was very lively for an early December 25th: seeing locals working out, watching the water fountain show and walking around numerous monuments… suddenly we felt really awake. From there we headed to Intramuros, the walled, historic district. The walls are in a pretty good shape and the moat has been transformed into a golf course! 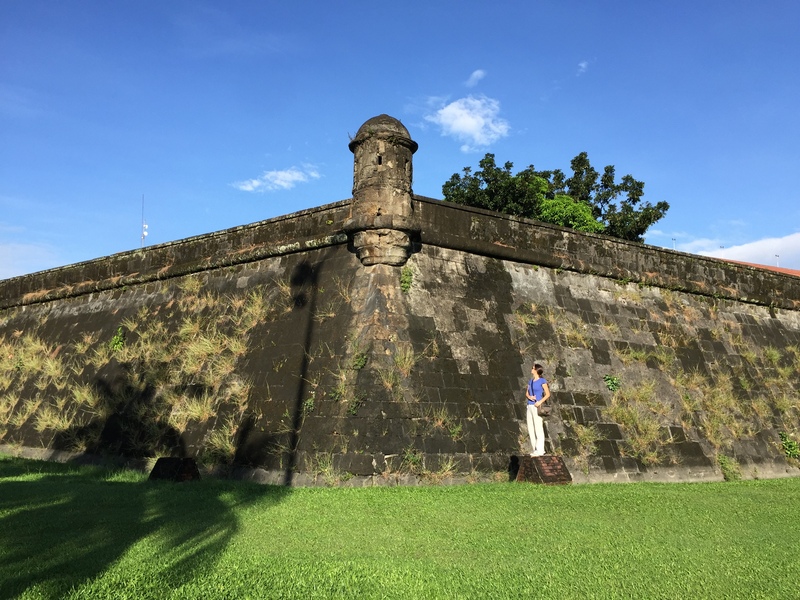 After a quick breakfast, we wondered around, stopping at the San Agustin church, the Manila cathedral, the Santiago fort and a few other historic buildings. Lots of people were attending mass and hanging out on the streets, jeepneys (kitsch public vans) and tricycles were speeding around. 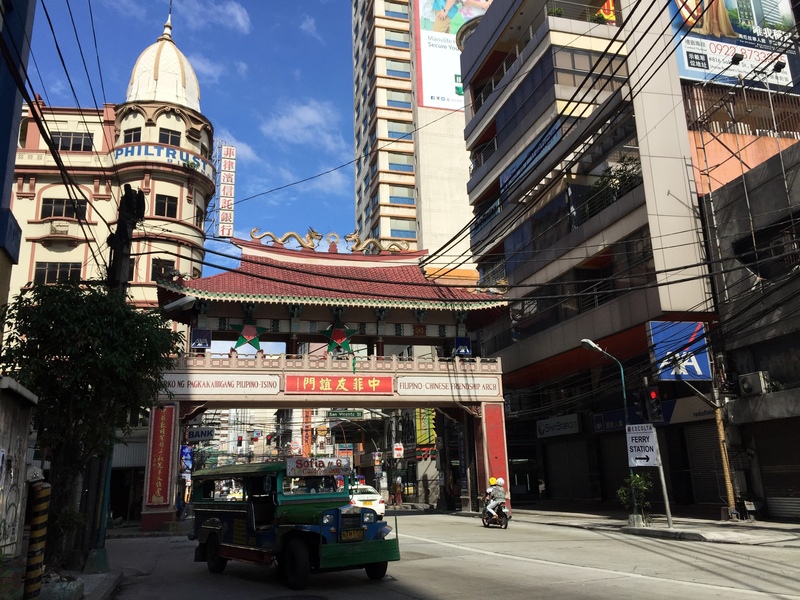 We continued walking north, crossed the Pasig river towards Chinatown and Quiapo. 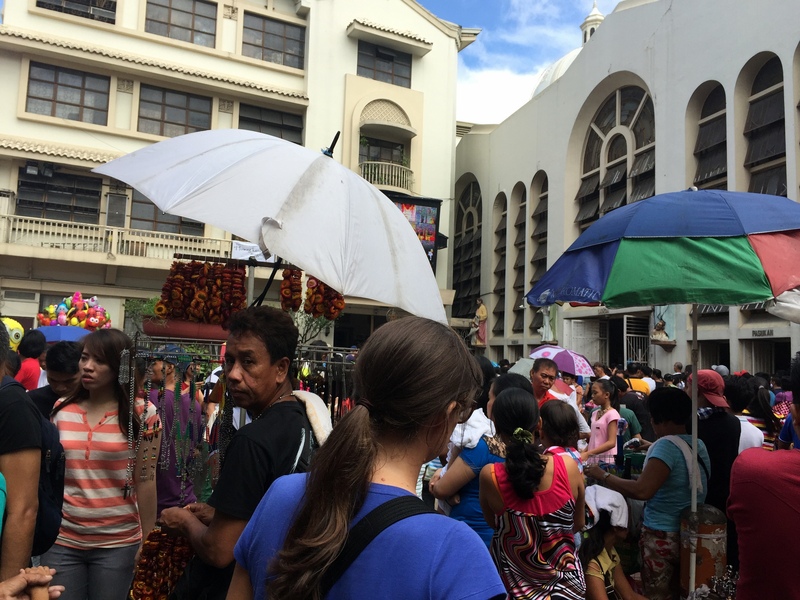 We found ourselves in the middle of a human tide, the most chaotic street market I’ve seen, leading to Quiapo church, were people crowded together for mass. 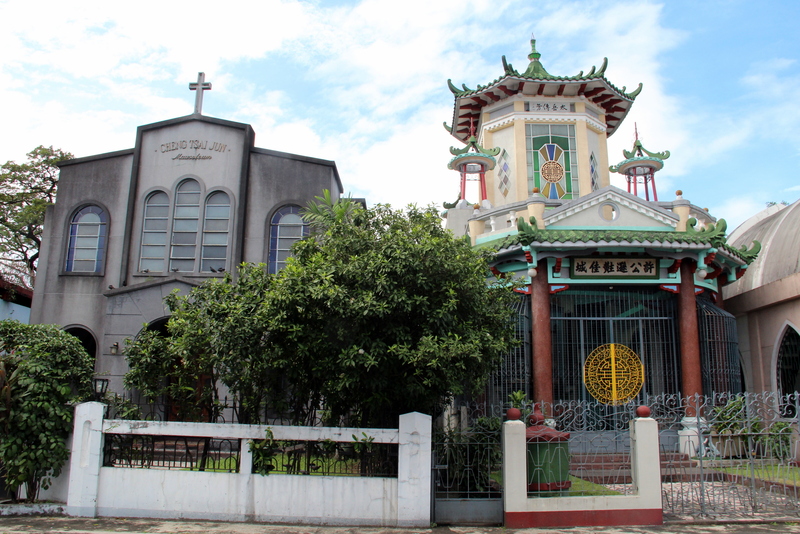 After a long break in a random hotel lobby, we took a jeepney to the Chinese cemetery, where we walked around in silence, not understanding why people would waste money in disproportionate mausoleums. It was already afternoon and we needed to stop by the bus terminal in Sampaloc to get out bus tickets for that night. 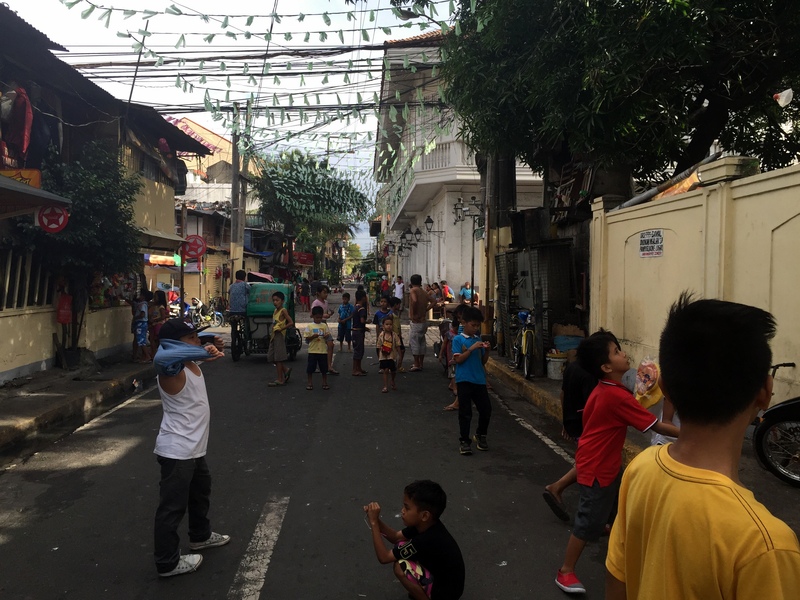 Took a tricycle there and a jeepney back to Intramuros, from where we slowly walked back south, encountering more people enjoying the holidays. 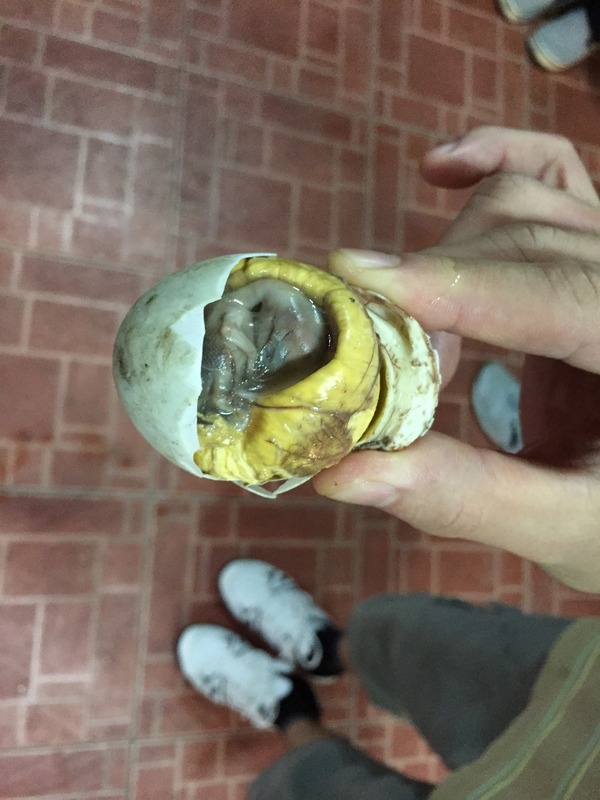 Even got a first look at balut, a duck embryo egg commonly eaten in the Philippines – no, we didn’t dare to try it. Our phones claimed that we had walked 15 miles, and I wouldn’t disagree with them. We were exhausted, and finding a massage place became our priority… what, an hour for 300 PHP ($7)? Sign us up! It was one of the best massages of my life, and much needed to stretch after the long flight and day. A quick dinner and we were rushing to the Ohayami terminal, to catch an overnight bus to Banaue. The seats didn’t recline and the AC was way beyond comfortable, but with the blankets and pillow that we had ‘borrowed’ from the plane, we slept fairly well. You strolled Manila in just a couple of hours? that’s a wow and very tiring! 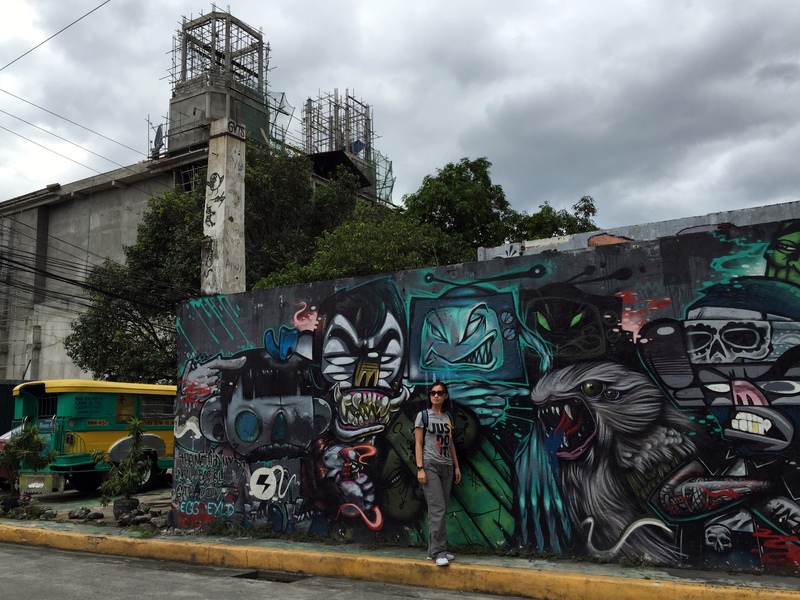 It is refreshing to read someone’s account of the chaotic Manila especially from a foriegner. I seldom see a write up of this place from non-Pinoy bloggers. Actually, Manila is a beautiful city with those structures of western influence.